Fidelity ADT, a national provider of armed response and security services, wanted to revitalize and relaunch its electronic billing process. The company engaged with Striata to assist with preparing its customer data for this initiative. As part of this initiative, Fidelity ADT wanted to offer customers digital statements, using email as a primary channel, but with the option to request a printed invoice. The project team set an aggressive target of achieving 100% paperless billing within 2-3 years and kicked this off with a data gathering and validation campaign. Operating under appropriately strict data privacy and confidentiality obligations, Striata’s proposed solution included a health-check on the existing customer data and a plan to migrate more customers to electronic billing. Phase 1 of the project served to determine which email addresses were valid and which were outdated or incorrect. Using Striata’s data hygiene application tool, the team was able to split the data and devise a plan of action for each. Phase 2 of the project involved collecting missing email addresses. For records with a valid looking mobile number or where the recorded email address failed, the team sent a personalized text message requesting that the customer reply with a valid email address. Fidelity ADT now has clarity on the status of their digital assets and on which customers will be able to receive electronic bills going forward. 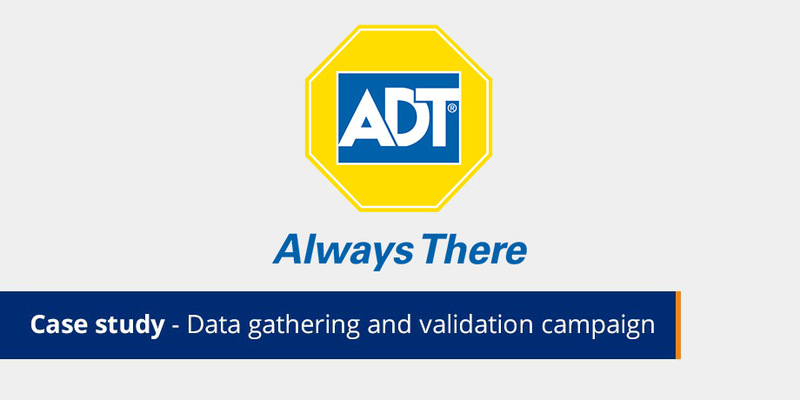 Fidelity ADT is able to contact an additional 9.6% of its base using customer-supplied, and therefore accurate, email addresses.